Murders are rare in Brewster County, and a murder trial in Alpine has just wrapped up its first week. 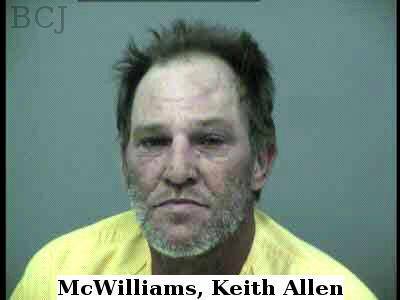 Keith Alan McWilliams is on trial for allegedly killing Walter “Trey” Sands III in late October 2014. The McWilliams case also features South County, this time Terlingua Ranch. It was where Trey Sands body was found buried in a shallow arroyo. He had been shot, beaten, and probably stabbed. Sands had left his Alpine home more than a month before, supposedly to go on a hunting trip with 49-year-old McWilliams, the defendant. Sands was 28 years old and had recently moved to Alpine from his home town of Kilgore. Two other people, Charles Morrow and Rhonda Bloom, were also arrested and charged with murder in the case. But later the state reduced Bloom’s charge to tampering with evidence. Morrow is still charged with murder and will be tried separately next month. 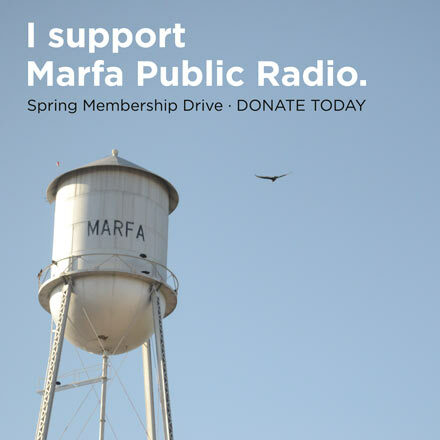 The state’s represented by Bill Parham, from the Fort Stockton office of District Attorney Rod Ponton. District Court Judge Roy Ferguson is presiding. Earlier in the week, the state’s main witness was Brewster County Sheriff Ronnie Dodson, who testified that McWilliams voluntarily came to speak with him at his office on the morning of December 3rd, 2014, not long after Sand’s disappearance. During that interview, McWilliams, who had previously denied involvement, admitted he killed Sands. But he claimed then it was self-defense. Dodson said McWilliams fully cooperated with the investigation. The defendant not only led the Sheriff to Trey Sands body at Terlingua Ranch, but he built a fire to keep the lawmen warm. During the course of several more interviews with lawmen, McWilliams stuck to his claim of self defense, adding that he shot Mr. Sands “right between the eyes” with a 44 caliber revolver. This later became a problem for McWilliams when the autopsy revealed to “a medical certainty” that he’d actually been shot in the back of the head. There were some unusual moments in the first four days of trial. First, there was Medley’s decision not to make an opening statement. Then on Thursday, the defense filed for a mistrial, claiming that the prosecution failed to turn over all its evidence in a timely manner. Medley subpoenaed Ponton, who appeared later that afternoon to explain the oversight, which satisfied the judge. Thursday’s proceedings also included testimony from expert forensic witnesses and from Texas Ranger Jeff Vajdos. The ranger showed videos of additional statements McWilliams made to police, including one at the scene of the crime. When confronted with the autopsy evidence, McWilliams admitted that his shot was to the back of Sand’s head, but he struggled to provide a consistent explanation of exactly what happened the night of Sand’s death. Given his earlier question to the jury pool, it’s considered likely that Medley will argue that these inconsistencies were the result of extreme intoxication. On Friday morning, after further testimony by Ranger Vajdos, the state rested its case. Most courtroom observers had expected the prosecution to call Rhonda Bloom to provide eyewitness testimony, but that didn’t happen. Instead, they seem to be relying on a combination of forensic evidence and McWilliams’ own statements to prove their case. Medley will begin his defense on Monday morning. -Steve Anderson, reporting from Alpine. This entry was posted in KRTS News and tagged alpine, Brewster County, Brewster County Sheriff's Office, Crime, Keith Alan McWilliams, Law, Walter "Trey" Sands III. Bookmark the permalink.